By now you’ve likely heard that Uber and the Starwood Preferred Guest program have partnered to offer SPG points for Uber rides. 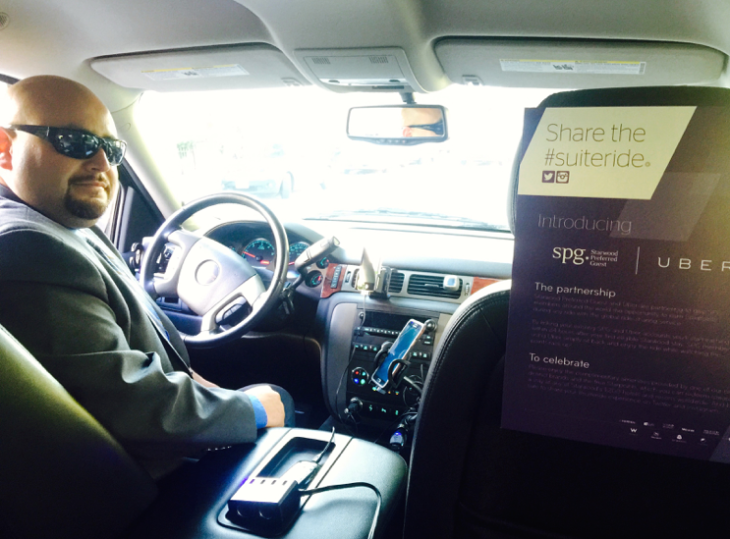 On Monday morning, I received an email from SPG offering me a chauffeured ride to work on Wednesday. To get the ride, I had to fill out a quick online survey that asked about what I like to eat for breakfast, what I normally do on a Friday night, and of course my address and SPG number. I was not exactly sure what this was all about, but it sounded like an unusual and fun way to learn about a new SPG promo. 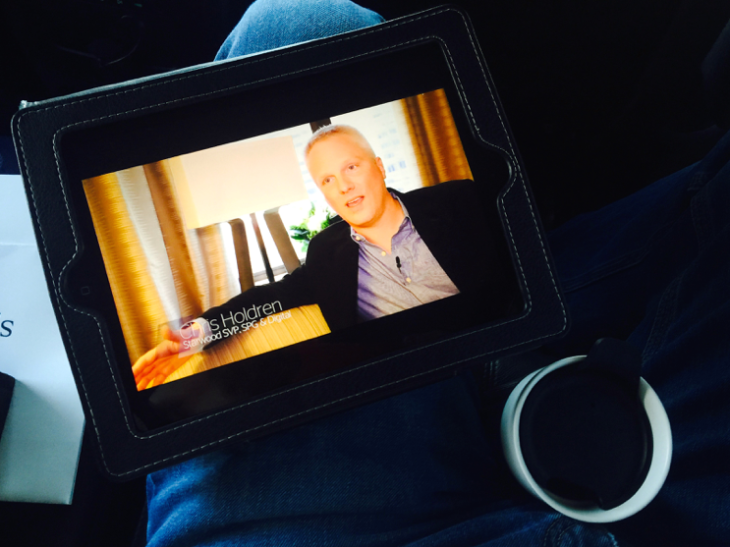 And since I know that many of my readers are big Starwood users, how could I resist? The only problem is that I work from my house, so I did not really need a ride to work. So I contacted the person who sent the invite and they agreed to just take me for a ride around my neighborhood. 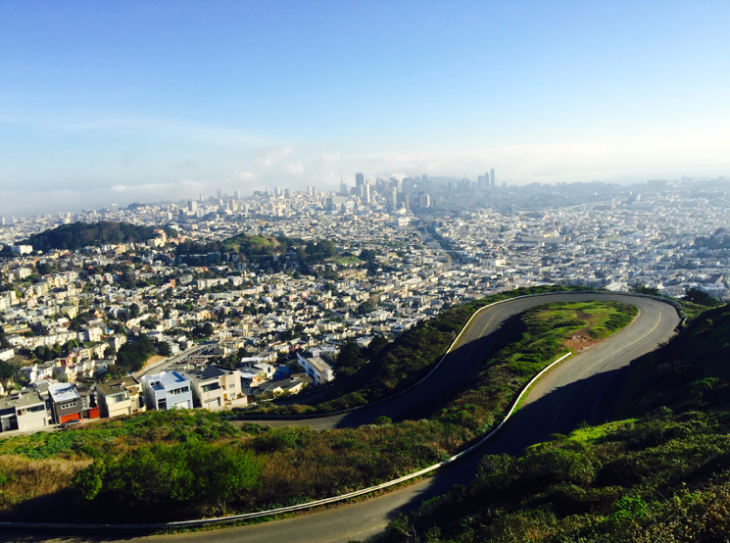 I asked if they could take me up to Twin Peaks overlooking San Francisco (about 10 mins from my house), and they agreed that would be fine. I thought that would be a nice way to start my day given the glorious clear, cool and sunny winter mornings we’ve had here on the Left Coast lately while the east coast shivers. Anyway, at 8:15 on Wednesday, a big shiny black Uber SUV with a Sheraton sticker on the door pulls up to my house and the driver texts that he’s waiting for me. I go jump in the car and from a script the driver welcomes me and tells me that Uber and SPG are teaming up to offer SPG members points for their Uber rides. He hands me a insulated cup of Starbucks coffee and a box containing a breakfast sandwich. There are placards on the seatbacks and even special branded floor mats announcing the new partnership. But first, I have to inspect the tray sitting next to me, which included two Riedel wine glasses (In the survey, I said I like to drink wine on Fridays), and a pass for a free glass of wine at the Sheraton Fisherman’s Wharf. There’s also a single can of Starbucks Espresso. Then I watch the video and peer out at morning breaking over San Francisco as we head up the hill to Twin Peaks. My driver David told me that about 10 other drivers were doing similar runs for other writers, bloggers and media types in the Bay Area. The same thing was happening in New York City. But they were all getting rides to boring old office buildings. I was getting a ride to this! Once we got to the top of the hill, I finished my coffee and breakfast sandwich, then scurried out to take in the incredibly gorgeous view and thank my luck stars that I’m in California and not back east. Then we jumped back in the SUV and chatted our way back to my home office. That was fun! And good way to let me and my readers know about an innovative new product. I walked in and told my partner about the program new program, which I knew he’d love because he’s a big time user of both Uber and Starwood (Platinum). 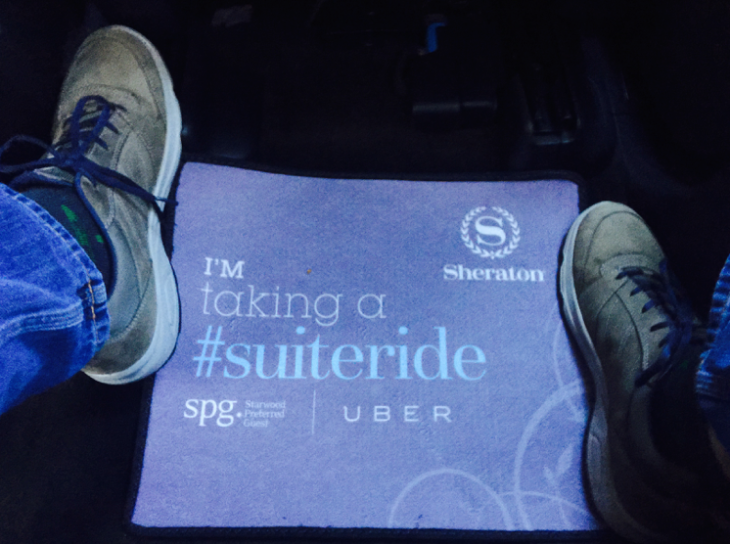 To kickoff the partnership, Uber and Starwood are teaming up to surprise and delight SPG members and Uber riders with an “SPG #SuiteRide” in five cities around the world. 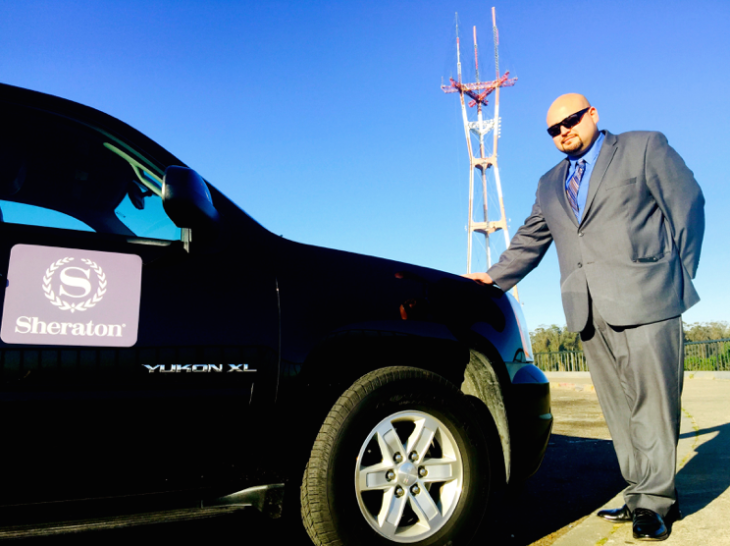 This Saturday, February 28 Uber riders who link their Starwood and Uber accounts can select the “SPG” vehicle option within the Uber app for a door-to-door branded hotel experience on wheels and 15,000 Starpoints – good for a free night at category 1-5 Starwood hotel. These one-of-a-kind, limited SPG Ubers will hit the road in the following cities around the world: Dubai, London, Mexico City, New York, and San Francisco from 2 pm – 7 pm local time.